Barry Friedman served as a Medical Officer aboard USS Russell from 1943 to 1945. He practiced Orthopaedic Surgery for more than 40 years. 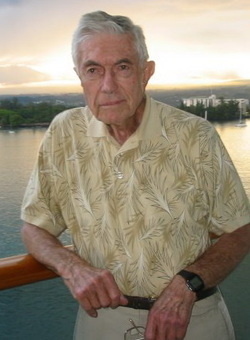 Since his retirement he has published 10 novels and 2 nonfiction books. He and his wife live in Southern California.